The new Beavertail Rail Fly Tamer was built out of one necessity and that was Line management. All of us, I don’t care who you are have been in the situation where you need to make a cast and cant because your line is wrapped around something on the boat or it laying in the water and it takes too many false cast to pull it off the water and the result is no cast, no fish, no fun. Well, with that one single thing in mind the Beavertail Rail Fly Tamer wascreated, with most of the credit going to Rob Kramarz of www.chaostheorycharters.com in Key West. He is a extraordinary guide in the Keys with Tarpon and Permit being his specialty, with that said he knows the importance of Line management. Without it, it’s the difference between and fish of a lifetime and total frustration. 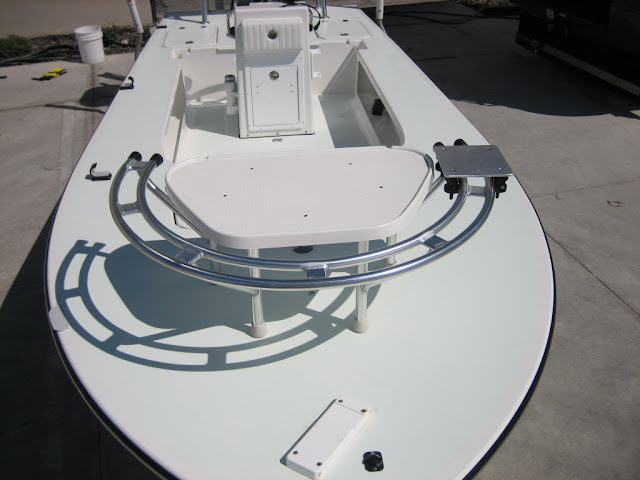 The Rail system is set up like a roller coaster, with wheels that hook under and over the 1″ aluminum rail. This lets the fly tamer move effortlessly by using your foot to move it right to left. We did this so that you never take your eye off the fish when casting. The system can use any kind of tamer from collapsible to rigid, big or small, just simply attach it to the pre-drilled holes in the roller plate and your done. The height of the plate is pre determined to go over your feet on the casting platform. 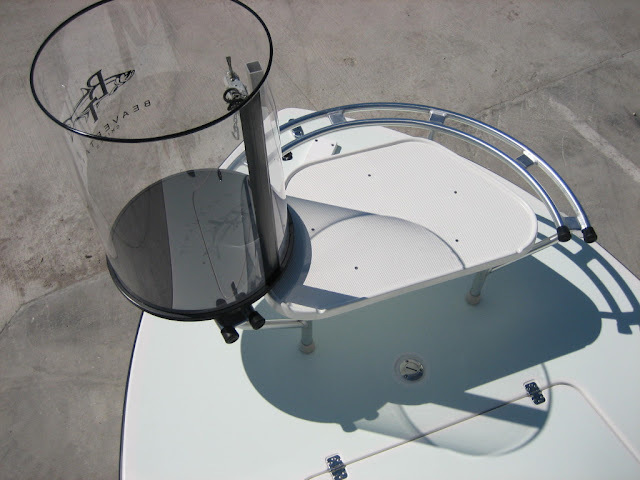 This will let you move it effortlessly and not be a obtrusive while fishing. I guess they say ingenuity comes from necessity. The Beavertail gang of Tarpon maniacs will give this a thorough testing this spring and I am looking forward to any and all feedback.